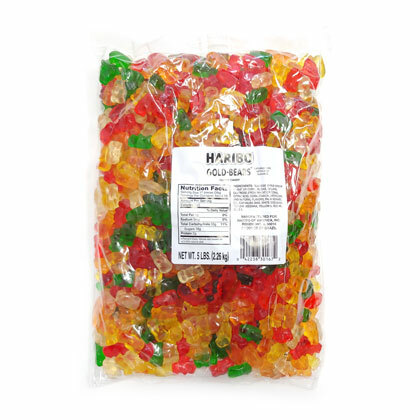 Soft, chewy, translucent and bursting with beary yummy flavor. Imported from Europe by Haribo. 5 lb. Just over .75 inches tall.